Well, what do we know? World Autism Awareness Day is just a few days away, and as usual, we are going to be exposed to a barrage of hypocrisy, bigotry, and misinformation, all courtesy of those who pretend to advocate for autism but exclude autistics from their agenda, even going so far as to promote their extermination. Yes. I’m talking about one of those organizations, specifically Autism Speaks. And in hijacking the UN-mandated celebration for their own gain, they have been coaxing well-meaning groups, governments, individuals, and corporations to support their message of exclusion, eugenics, and corruption by overstimulating autistic individuals with a barrage of blue lights, lighting up every city landmark with a color that used to have an innocuous meaning, now made vile by Autism Speaks. Now, fret not, for a lot of autistic self-advocates have initiated a series of counter-events in protest to this overwhelming hypocrisy. 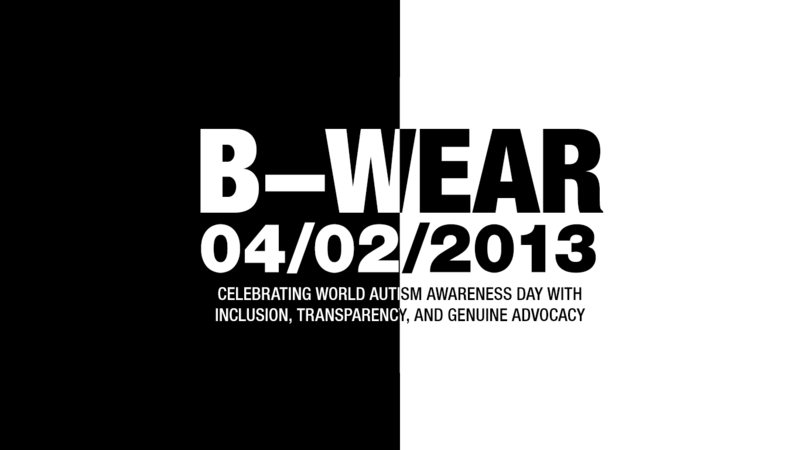 Among such activities include Autism Acceptance Month, Tone It Down Taupe, and of course, our very own B-WEAR. You may opt to participate in any of these events, or you may join in all of them at the same time. Here’s how you can participate in B-WEAR and why it matters to you, especially as an autistic individual, an autistic self-advocate, a relative of an autistic person, or just someone who loves and supports autistic people. hi big bro 🙂 you’re part of ASP right? just confirming, they’re doing light up blue tomorrow aren’t they? would you know what exactly their stand is on this issue?